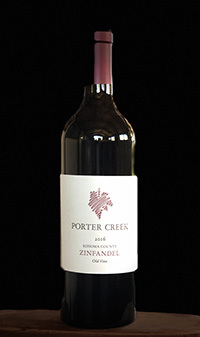 A classic example of Sonoma County Zinfandel. Aromatically, it has the explosive cherries and berries, and on the palate it is rich and textured on the finish. Produced from hillside grown vines and blended with 5% Carignane and for texture and overall harmony.